The new Queensferry Crossing over the Firth of Forth was officially declared open by the Queen on 4th September 2017. The new bridge is the longest three tower cable suspension bridge in the world; the highest bridge in the UK and has an unofficial record for the largest continuous concrete pour ever! 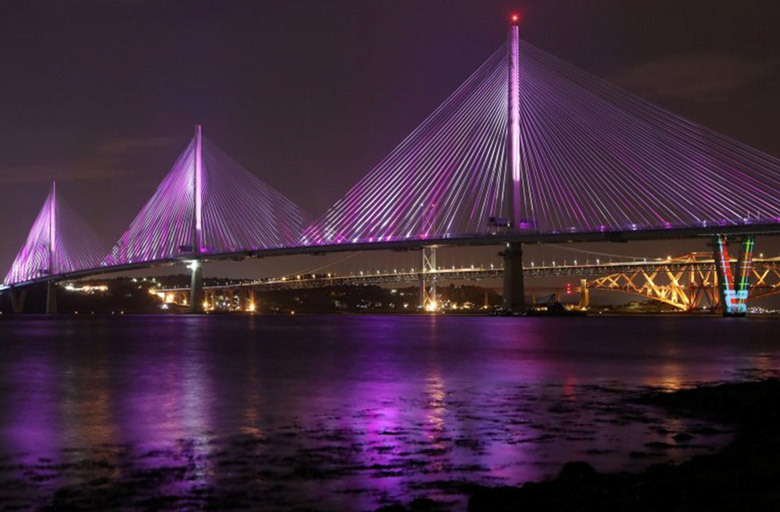 During the previous week the new bridge was illuminated by a night-time light show, to reflect the handover from the contractors to the Scottish Government. As you can see from this image, it was a great light show and is a credit to the creativity and engineering capability of the lighting and contracting industries.